Millions of pounds worth of projects in Devon and Cornwall are under threat because of £56m in cutbacks by the South West Regional Development Agency. The agency will not support a cruise ship terminal at Falmouth, visitor centres on Devon's Jurassic coast or a £125m revamp at North Devon College. Government cuts and a drop in cash from land sales cash have led to the move. The agency said it had to make some "tough decisions" on its £260m budget over the next two years. 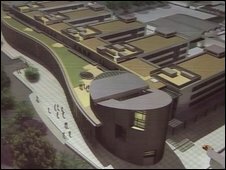 Plans for a new college campus in north Devon were hit in January when the Learning and Skills Council (LSC) delayed financing because of the recession. More than 3,000 16-plus learners attend the college in Barnstaple. It was planning to expand its facilities and increase student numbers at the planned new campus at Seven Brethren, which it hoped to have completed and opened by 2011. College principal David Dodd said he was "gobsmacked" by the South West Regional Development Agency's (RDA) statement the scheme "is not now taking place" and it would therefore not continue its £1m funding. He said: "The RDA's interpretation of the Learning and Skills Council's changes to its £125m capital funding programme and the implications for our new campus development must surely be an error. This is not what we have heard from the LSC. "The RDA's funding decision was made on 18 May but the LSC has, to date, made no decisions on which college projects are going ahead. "North Devon College's project is still going through the LSC's assessment process." Other projects which will be hit include the Exeter Business Improvement District, in which firms contribute to a fund to improve the area. The RDA will also not support the deep dredging of Falmouth docks. The RDA said instead it wanted to concentrate on helping renewable energy projects linked to wave machines off the north Cornwall coast and developing land for employment space. The RDA's £31.5m investment in the regeneration of St Austell town centre is unaffected. Funding will also be reviewed on improving the run-down Millbay docks area in Plymouth. A regeneration scheme for Torbay will lose £40,000. The RDA is continuing to support the development of Exeter Science Park, the regeneration of Brixham, a new skills academy in Exeter and plans to spend more than £9m in Plymouth. Jane Henderson, chief executive of the RDA, said: "None of these choices has been made lightly and we regret the disappointment that will be felt. "Given limited resources, we have our sights firmly focused on doing the things that are most important for ensuring that the South West comes through the recession in the best possible shape to succeed as a dynamic, sustainable and thriving regional economy."